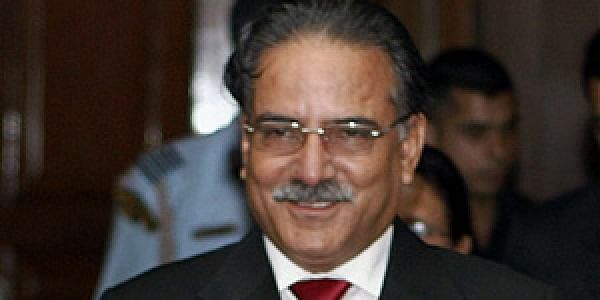 KATHMANDU: An alliance of Madhes-based political parties has withdrawn its support to Prime Minister Prachanda-led Nepal government after it failed meet a seven-day ultimatum to fulfil their demands that included endorsement for the revised Constitution amendment bill. The United Democratic Madhesi Front withdrew support to the government as it failed to address its concern within the seven-day ultimatum that expired yesterday. "Our support to the government automatically expired on Tuesday," said Keshav Jha, General Secretary of National Madhes Socialist Party. "The government did not discuss with the Front leaders their concerns after they served the ultimatum," he said. The Front had said that it could not support the government as it had been preparing to hold local level polls without addressing the issues raised by them. Even after the withdrawal of support by the Madhesi Front, the ruling coalition has the backing of more than 320 members in the 601-member Constituent Assembly. The incumbent government led by CPN-Maoist Centre has got the support from Nepali Congress, Rastriya Prajatantra Party and other fringe parties. Madhesis, mostly of Indian-origin, had launched a six-month-long agitation against the implementation of the Constitution without amending its provisions that would address the demands for more representation and re-demarcation of state boundaries.